And we celebrate with our gMamas and gDads knowing that we are all doing our bit to minimise waste – using our biodegradable disposable inserts with our colourful soft cotton gPants means that we are contributing to the cause – after all, the wet inserts can be composted and many of our gCommunity do just that! Sarah: I pop our disposable inserts in our garden waste bin so I guess kinda composting! Beccy: I do and I compost. They just disappear so quickly. Rika: When I had tinys I put them in my dad’s compost. Diane: We use them now and then to do a stash strip on inserts and dispose of them in the brown bin. Natalie: We use full time and compost them. Emma: We use them during the day on non-nursery days as we are mostly out and about and compost where possible. Victoria: I use disposables and biodegradable nappy bags. We lack garden space to compost but fully intend to once we move house. Anna: Just use the disposable inserts at night now, and we compost them. Read more HERE from KeepupwiththeJonesFamily on how they home compost their g inserts using a home compost bin*. 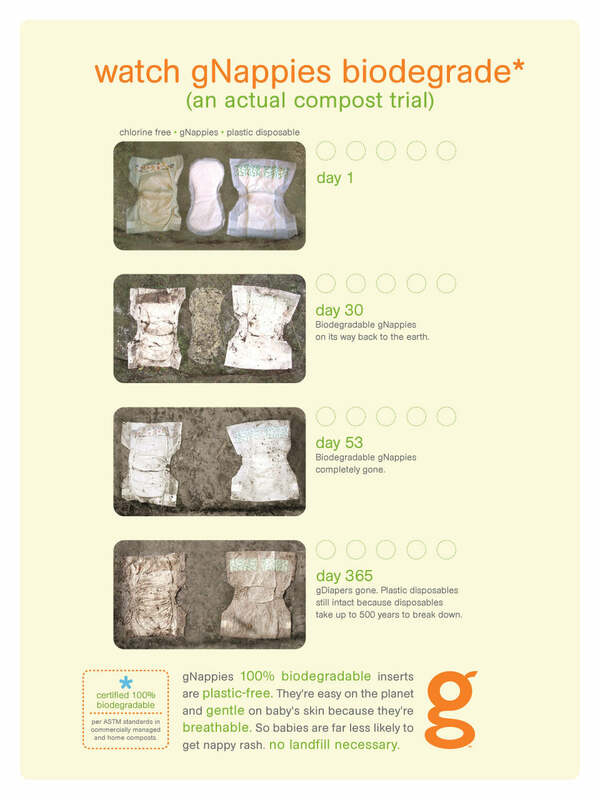 And more on composting – this time at high altitudes! * Home composting does not reach internal temperatures high enough to kill the pathogens associated with faeces. You need to reach 55° C. Please do not home compost inserts soiled with poo.